Longtime anchor and NBC Nightly News managing editor Brian Williams will keynote the University-wide Commencement. Williams’ first year behind the NBC Nightly News desk in 2004 earned him accolades and a reputation as one of television’s leading journalists for his coverage of Hurricane Katrina and its aftermath. He had taken over for a legend on the Nightly News desk, assuming the anchor position after Tom Brokaw retired. Known for his charisma and wit, Williams attended GW for one semester in 1980 but never finished his degree. He also briefly attended neighboring Catholic University. “It is an honor to be asked, and I intend to point out the obvious: Every graduate in the audience will have achieved what I failed to do – earn a college degree,” Williams, 53, said in a statement provided by NBC News. The University’s pick for commencement speakers is a slight departure from the past three years, when politicos New York Mayor Michael Bloomberg, First Lady Michelle Obama and then-White House Chief of Staff Rahm Emanuel spoke. 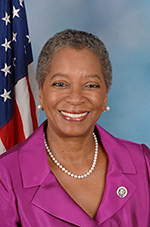 Donna Christensen, Congress’s delegate for the U.S. Virgin Islands, will address graduates at the School of Medicine and Health Sciences ceremony Saturday. The Democrat graduated from the medical school in 1970 and became the first female physician to serve in Congress when she was first elected in 1996. 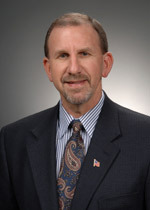 Christenson cannot vote on legislation but can participate in debates as the sole delegate from the U.S. Virgin Islands. As the first vice-chair for the Congressional Black Caucus, she works closely on minority health issues and women’s issues. 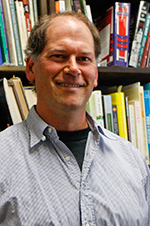 David Rain, an associate professor of geography and international affairs, will serve as one of two faculty speakers for the Columbian College of Arts and Sciences, along with alumna and leader of GW’s Art Therapy Program Heidi Bardot. Rain is on sabbatical working on a book that chronicles his cross-country travels and observations on the influence of location on human behavior. “These unsettled times prompt some people to hunker down and do what they already know what to do. I would recommend doing the opposite: Go someplace you’ve never been before and test yourself,” Rain said. Rep. Rush Holt, D-N.J., will address College of Professional Studies graduates at their Saturday ceremony. One of Congress’ two physicists, Holt served on the opposite side of the aisle from Graduate School of Political Management Dean Mark Kennedy, formerly a three-term Republican congressman from Minnesota. The five-time Jeopardy champion whose constituency includes Princeton, NJ is known for his advocacy on energy and intelligence issues. Holt’s name will add to the list of politicos who have in past years addressed graduates of GW’s applied politics program, including former Republican congressman Joe Scarborough in 2008. 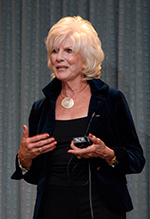 Diane Rehm, host of National Public Radio’s “The Diane Rehm Show,” will deliver a graduation speech Saturday for the School of Public Health and Health Services. More than 2 million people tune in daily to her show, which has aired since 1984. Rehm has championed health policy issues after being diagnosed with a neurological voice disorder – spasmodic dysphonia disorder – in 1998. “The fact that the SPHHS has chosen a public figure as a commencement speaker and not necessarily a public health expert has raised questions, but her ability to highlight issues and discuss present health policy matters make her very appealing for GW students and staff,” Lynn Goldman, dean of the public health school, said. 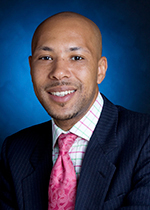 D.C.’s Deputy Mayor for Education De’Shawn Wright will speak at the Graduate School of Education and Human Development ceremony Saturday. Wright, who worked as an education adviser to Newark, N.J. Mayor Cory Booker in 2006, has spearheaded education reform in the District since D.C. Mayor Vincent Gray appointed him in 2011. He began his career in a middle school classroom, working for Teach for America in 1998. Carmen Ortiz, the first female and Hispanic to hold the position of United States Attorney for the District of Massachusetts, will address GW Law School graduates Sunday. 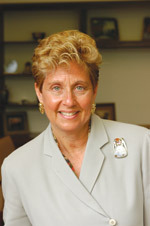 Named the “Bostonian of the Year” by The Boston Globe in January, Ortiz graduated from the law school in 1981. President Barack Obama appointed her to the post three years ago. 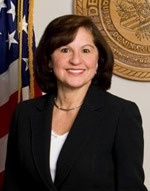 Ortiz implemented the state’s first civil rights initiative in 2010, which sought to reinforce federal civil rights law and increase community outreach services to areas of poor civil rights handlings. “Ms. Ortiz is a true inspiration and, by all accounts, an incredible speaker,” Dean Paul Schiff Berman said. Alumna and trustee Linda Rabbitt, founder and chief executive officer of Rand Construction Corporation, will speak Friday to the GW School of Business. 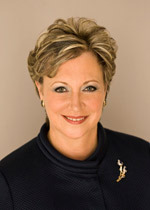 Rabbitt also chairs the Federal City Council, a group of philanthropists and business leaders in D.C.
She has built up Rand Construction Corporation as one of the largest female-owned companies in the country since she started the Arlington-based company in 1989. “Much in business has changed but entrepreneurship and the ‘impact of the individual remains more important than ever,” she said in a statement. Cybersecurity researcher Ron Ross will address School of Engineering and Applied Science graduates Friday. As a fellow for the National Institute of Standards and Technology, Ross leads a group looking to standardize cybersecurity rules for the federal government and contractors. The pick fits in with the school’s sharpening focus on cybersecurity, as it will add a master’s degree program in the field in the fall. 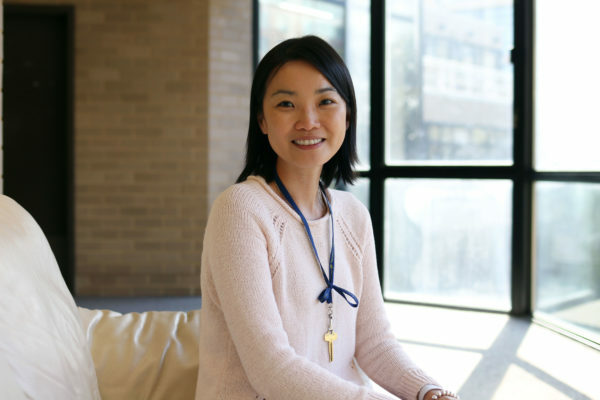 “The most important thing is to take all the hard work and the degree and find a position in public or private sector, one [students] enjoy and it’s a challenge,” Ross said. School of Nursing graduates will hear from Ellen Zane, a trustee and the former chief executive officer of Tufts Medical Center, at their graduation ceremony Saturday. Zane graduated with a B.A. from GW in 1973 and said she will push future nurses to think deeply about their responsibilities to patients. 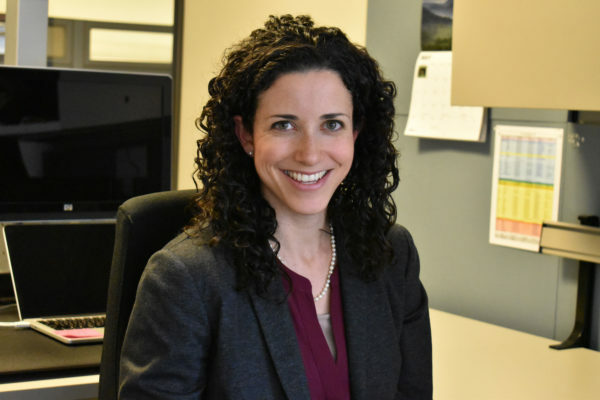 “[Nursing] requires a strong sense of responsibility as we hold the most sensitive aspects of peoples’ lives in our hands and we contribute to the overall efficiency of the health care system,” she said. 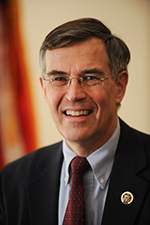 Professor and former ambassador Edward “Skip” Gnehm Jr. will speak at the Elliott School of International Affairs graduation Friday. Gnehm served as the U.S. ambassador to Jordan, Kuwait and Australia before coming to GW. 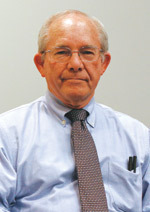 His professorship was supported by a $3.3 million gift from the Kuwait Foundation. Gnehm, an alumnus, said he hopes to spread a message that students should broaden their lens while studying global issues.